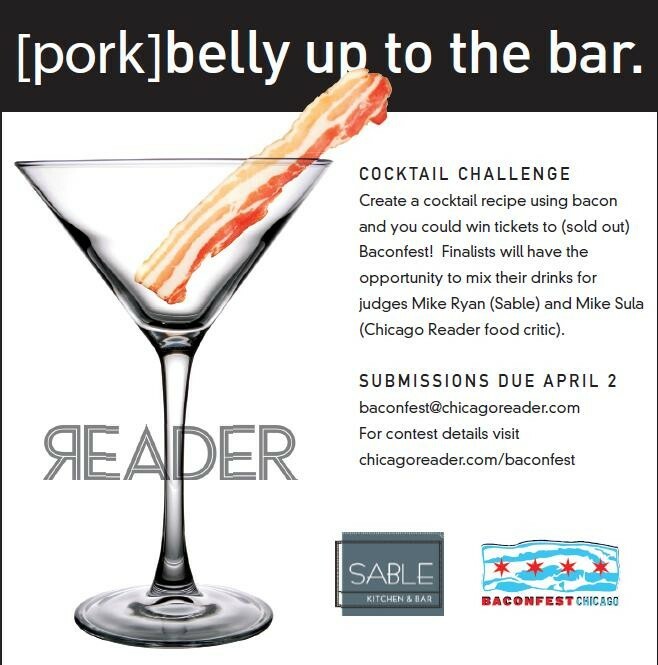 The rules—and the world premiere of the 25-chef-studded Baconfest 2012 video—after the jump. The winner wins a pair of tickets to the festival on Saturday, April 14. Make your own fat-washed scotch cocktail with the recipe for Reader's Baconfest 2012 cocktail challenge winner.